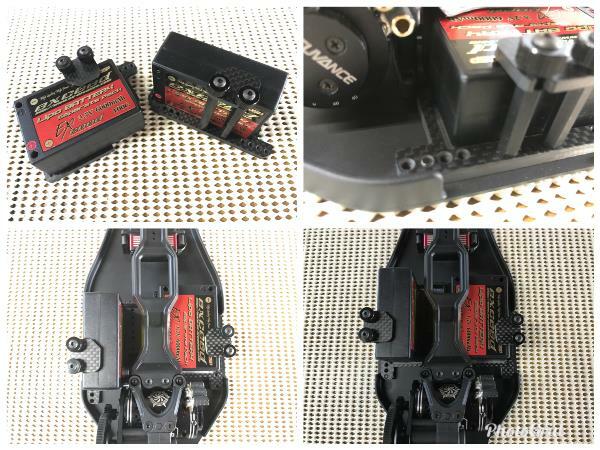 TS-350　YD-2用　左右セパレートバッテリーホルダー　ブラックカーボン（艶消し） -	RC CRAZY CUSTOMIZER "TAIL-SLIDER"
★Separate battery holder L&R for YD-2(only rasin bathtub chassis). Can loading separate battery for YD-2. but limit use only rasin bathtub chassis. 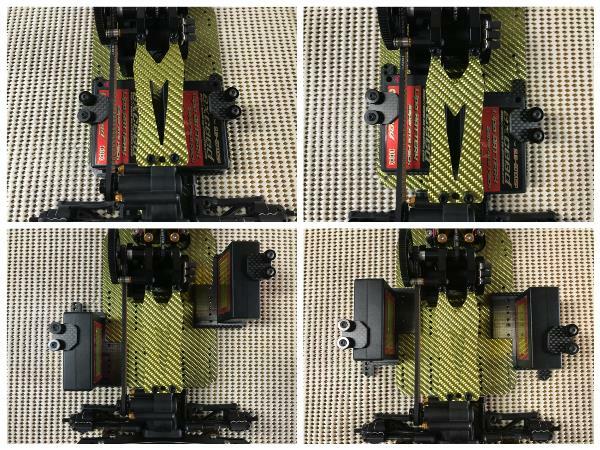 2 type loading of stand position & flat position. If loading flat position, stick with sponge on step. 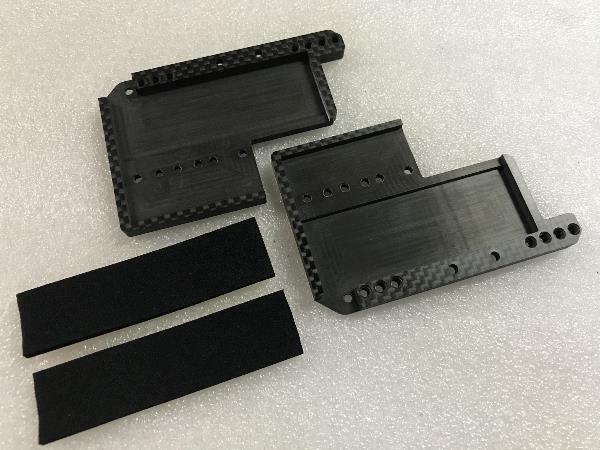 If need battery support, recommend use TS-235...3.0mm carbon battery support of tail-slider original for Re-R HYBRID(black) or D-Like DL259 Carbon battery plate(silver) please. Sense weight distribution using advantage of separate battery please.